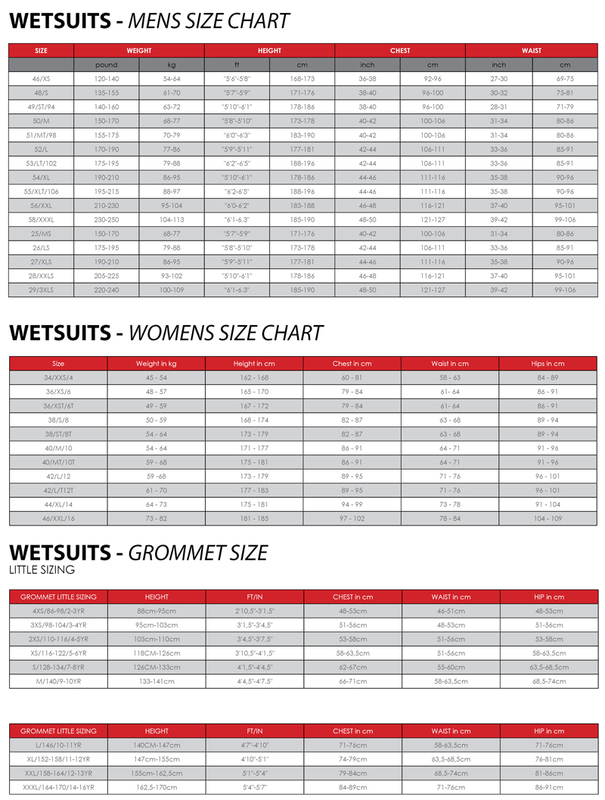 Last year the Rebel had a significant overhaul that saw the design built around a 4 line set up. The kite was a huge success and this year Ken Winner has been working hard to make the best even better! Updates on the 2019 model include a smaller, reduced diameter leading edge and a flatter centre shape profile. The goal was to improve the handling and boosting capabilities of the kite. The thinner leading edge makes the new Rebel more efficient, but also allows it to twist, increasing the turning speed and making the handling very dynamic. 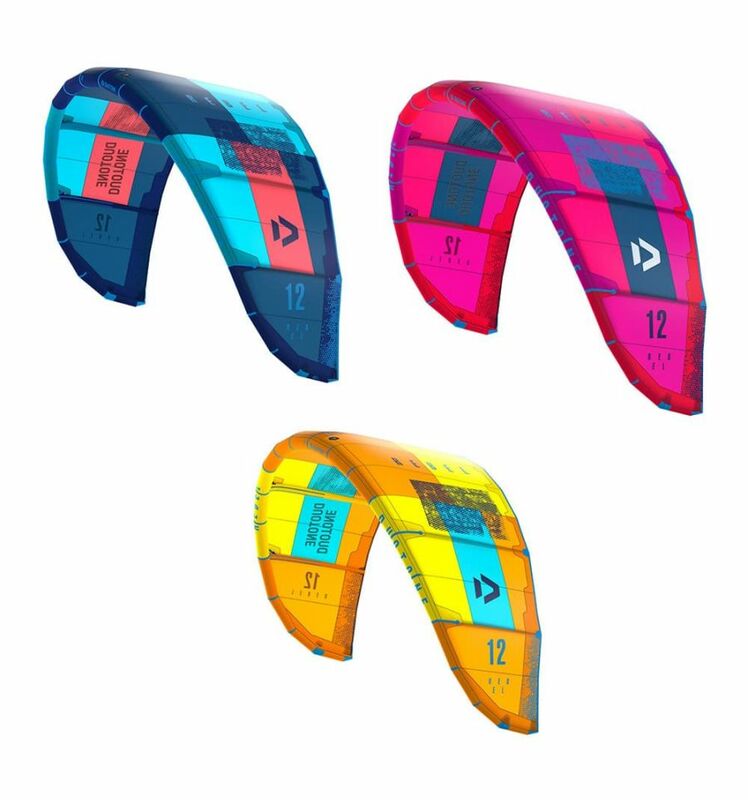 The new flatter profile in the centre of the kite adds power and improves the flying characteristics. As ever the wind range is huge, there is plenty of low-end power, and the high-end is incredible with the 5-strut design keeping the canopy stable even in gusty conditions. 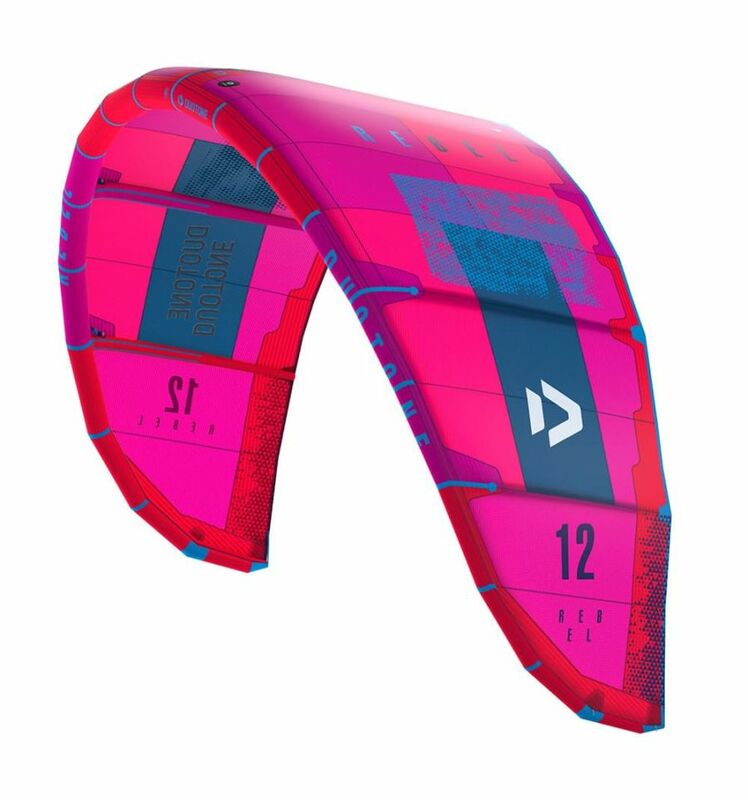 Sheet and go handling makes the Rebel incredibly easy to fly, it suitable for riders just starting out on their kitesurfing journey as well as pro who want to boost to the moon and everyone in between. Reduced diameter leading edge: A thinner leading edge makes the Rebel more efficient, but also allows it to twist, increasing the turning speed and making the handling very dynamic. 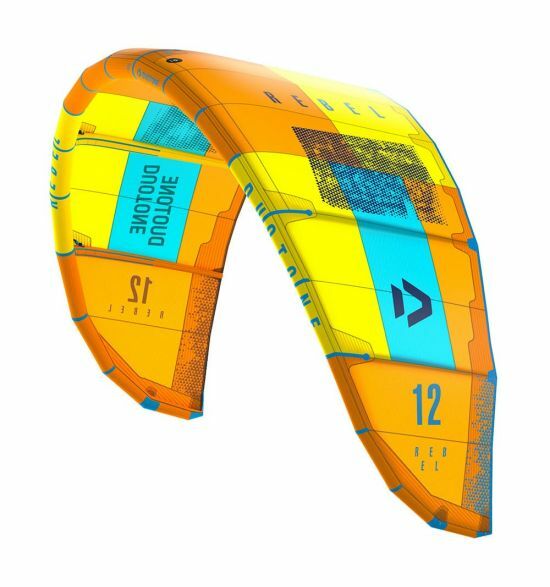 Flatter centre shape: A new flatter profile in the centre of the kite adds power and improves the flying characteristics. Best sheet and go power development: The sheet and go handling makes a kite incredibly easy to fly. 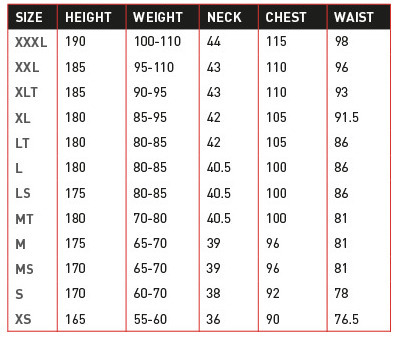 Biggest windrange: A kite with the biggest windrange can be flown in a very wide aspect of wind strengths, without changing the size.